The Business Litigation Group involves the representation of businesses and individuals in a wide variety of business and commercial disputes. 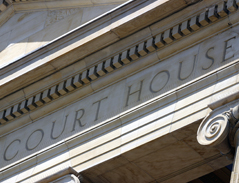 Our business litigators handle all phases of business litigation, from investigation and discovery, through trial and appeal, regularly appearing in state and federal courts, before state and federal administrative agencies and in arbitration proceedings. The Group has broad experience in all types of litigation including: claims of breach of contract; debt collection; unfair competition; ownership, governance and shareholder disputes; non-competition agreements and theft of trade secrets. The Business Litigation Group also represents businesses and individuals in disputes involving real estate, employment and insurance and reinsurance issues. We realize that business disputes and litigation pose a serious strain on the resources and productivity of individuals and organizations. We counsel clients in avoiding litigation, and, when litigation ensues, managing it in a cost effective and efficient manner.